Jack's parents send him on a tour of Europe, but he ends up in a lost kingdom and kisses a sleeping princess,Talia. After pricking her finger on a spindle, Talia sleeps for three hundred years due to a curse placed upon her at birth by an evil witch.After kissing the princess and waking her, Jack's life is turned upside down. Now, the princess wants to run away with him! After reading Beastly and loving it, I was determined to read more books by Alex Flinn. 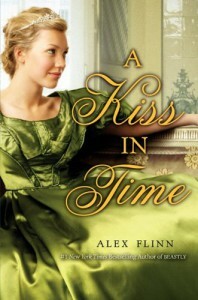 So, I started to read "A Kiss in Time" , it didn't let me down, however, it wasn't as good as Beastly. Now, I'm really looking forward to reading Alex Flinn's next retelling ,"cloaked". The story is told from the viewpoints of Talia and Jack . Again,it's a modern retelling of a classic fairy tale,this time,Sleeping Beauty. Two different point of views have its own pros and cons for me,at first ,it was a bit confusing, I mean after reading one chapter narrated by Talia and getting used to her tone, next chapter was narrated by Jack. 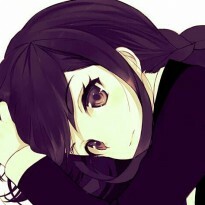 But, as I read more , I found it less confusing,and even great. Because I could understand them both better.